Metro Manila’s art scene is all abuzz as Ortigas & Company holds a month-long art festival to bring art closer to the hearts and minds of the Filipinos just in time for National Arts Month. 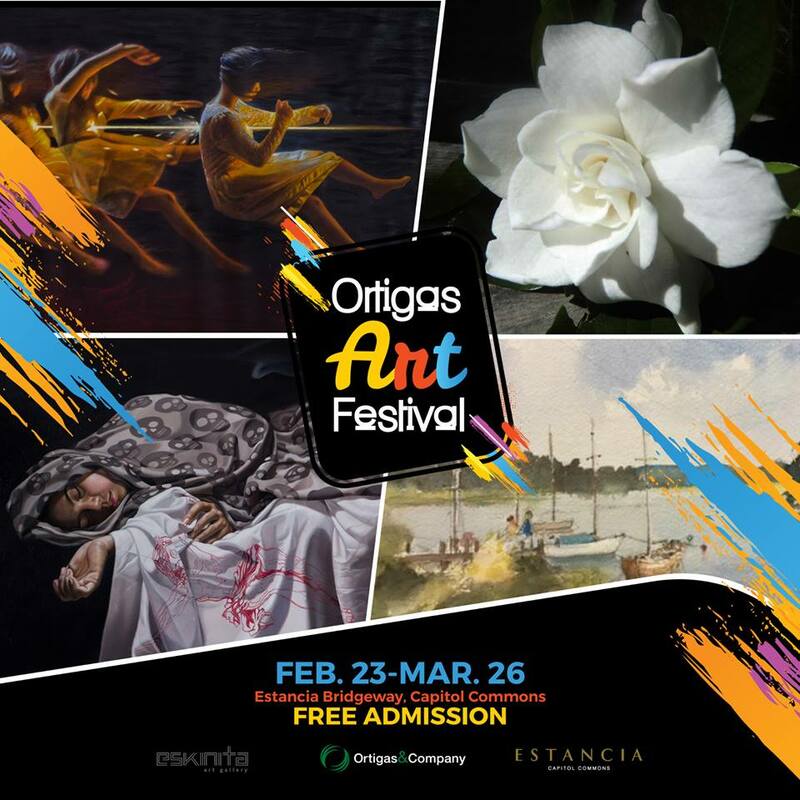 The Ortigas Art Festival is sure to captivate art lovers from all walks of life with well-curated art pieces that reflect the country’s evolving art scene. With Estancia being home to Ortigas’ first art festival, this will surely showcase Ortigas & Company’s commitment to promote Filipino creativity and ingenuity. Visitors can also check out solo exhibits by up and coming artists Anthony Victoria, Arvi Fetalvero, Bon Mujeres, Ged Merino, and Richard Buxani, all of who experiment with various materials to create one-of-a-kind pieces. "Ortigas & Company has always supported the arts. By holding an art festival in Estancia, we hope to make art more meaningful and accessible. It is also our way of fostering a deeper regard for the art and cultural scene, while offering a new experience for mall patrons and the Capitol Commons community," said Arch. Renee Bacani, VP Ortigas & Company. For more information, check out Estancia at Capitol Commons online at www.facebook.com/EstanciaPH or https://www.instagram.com/estanciaph. Ortigas & Company is one of the pioneers in real estate development in the Philippines. Now on its 86th year, the company continues to build great places for life through its iconic estates for living, shopping, business, and entertainment. It is the developer behind some of Metro Manila’s best-known master planned and mixed-use developments: Greenhills, Ortigas East, Capitol Commons, and Circulo Verde. For more information, visit www.ortigas.com.ph or call 633-1580.